34406774436 MINI Coupé R58 Coupé Coop.S JCW N14 (SX51) 01.09.2006 - 0.064 kg. 34406774436 MINI Coupé R58 Coupé Coop.S JCW N14 (SX52) 01.09.2006 - 0.064 kg. 34406774436 MINI Coupé R58 Coupé Coop.S JCW N14 (SX53) 01.09.2006 - 0.064 kg. Handbrake grip in Black. Will it fit?. Material: Plastic. Image is for illustrative purposes only, actual product may vary. HANDBRAKE GRIP. Handbrake grip in Black. Eye-catching detail for the interior of the MINI. MINI part number:34 40 6 774 436. Used parts or accessories will be in good working order but do not carry a warranty. 34408036495 3 Series E92 Coupé 316i N43 (WA11) 01.03.2006 - 0.048 kg. 34408036495 3 Series E92 Coupé 316i N43 (WA12) 01.03.2006 - 0.048 kg. 34408036495 3 Series E92 LCI Coupé 316i N43 (KD11) 01.03.2006 - 0.048 kg. Original Part Number: 8200540725 - 8200273004. HAND BRAKE. ONLY LEFT HAND SIDE DRIVE CAR. Black/Gray/White Union Jack UK Flag Pattern. Grip will fit on all Year and Model MINI's except for the Countryman, Paceman and the 2014 F56 Hardtop. Upgrade the look of your handbrake with this great MINI Accessory. Black / Grey Union Jack Flag Blue PU Leather Hand Brake Handle Cover. 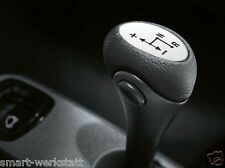 Suitable for most cars handbrake. Grip will fit on Mini Cooper Clubman R55 R56 R57 R58 R59. Key Chain Bag. Car Key Chain. Upgrade the look of your handbrake with this great MINI Accessory. Car sticker. Car Emblem Badge. Ready for installation-Very easy to install. 34411116435 3 Series E36 Saloon 325i M50 (CB43) 05.11.1975 -Will it fit?. 34411116435 3 Series E36 Saloon 316i M40 (CA11) 05.11.1975 - 0.030 kg. 34411116435 3 Series E36 Saloon 320i M50 (CB11) 05.11.1975 - 0.030 kg. 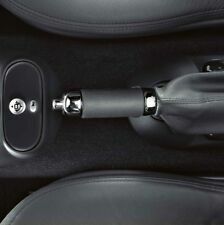 Handbrake handle, Sport Line. High-quality leather all-round. 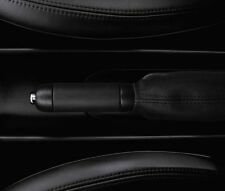 The red middle section gives the handbrake handle a dynamic and sporting feel. F20,F21,F30,F31. 3 Series F31 Touring 316d - 330d 01 July 2012 Present. Fits all Mk3, 3.5 & 3.75 MX5 models, 2005>2015. We source our products from all over the world to bring you the best in MX-5 parts and accessories. - Top quality black leather with black stitching -. OBP screw type brake bias valve. These valves are designed for use in competition vehicles where it is desired to reduce the hydraulic line pressure and therefore braking effort of the rear brakes to compensate for the varying surface conditions, tyre choices and vehicle set up. Strictly for competition use only. Supplied with fittings to exit the valve with female M10 x 1 ports. In fact many Koni Sport dampers can be adjusted whilst the shocks are still on the car, so you can fine tune to your heart's content! Condition is Used. These Koni Sport dampers are perfect to use with lowering springs - you can lower your car up to 40mm. Cab Roof Light. For MINI COOPER. Carbon Oil catch tank. Our set included screws and alien key to make easier installation. Engine Hood Damper. Fog Lights. Door Handle Covers. Fits 2001-2013 Mini Cooper R50 R52 R53 R55 R56 R57 R58 R59. Handbrake grip in Black. Eye-catching detail for the interior of the MINI. MINI part number: 34 40 6 774 436. BRZ / gt86 Handrake Drift Button. By removing the spring placed in the parking brake lever, you can easily use the parking brake to induce and/or maintain your drift. 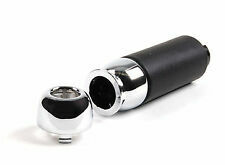 Made of machined 6061 aluminum, the Drift Button is black anodized aluminum. It fits all F80 F82 F83. We have offices in several countries. (YEAR: 2015. BODY TYPE: VAN. AXLE STYLE: FRONT WHEEL DRIVE. 2) Fault or failure of an ancillary component, for example a radiator, timing belt, water pump, fuel injection system, turbo, coolant, gasket, hoses, etc. Personalized stitching with nylon thread. uffia shift lever and brake leather BLACK AND RED SEAMS. 100% ITALIAN LEATHER. MX5 MK2 / MK2.5. MX5 New & Used Parts. MX5 MK3 / MK3.5. Designed to hold the interior trims together, similar to the Mazda brackets. Side / rear hard top brackets for securing your hard top. This is the side set only – for a full set you will require the front brackets aswell. R50, R52, R53, R59 R58 R57 R56 R55. FOR MINI ONE COOPER COOPER S D MATCH. ONE/COOPER Cooper S convertible. HAND BRAKE LEVER HANDLE. MINI ACCESSORIES. HANDBREMSGRIFF UNION JACK SCHWARZ WEISS GRAU. Right of Withdrawal. SMART FORTWO 451 LEATHER SCHLATKNAUF. You are looking for 450 more smart parts, for the smart & 451er, to write us with the vehicle identification number. Suitable for all Smart ForTwo by 2007 – 01/2014. Black & White Checkered Pattern. Grip will fit on all Year and Model MINI's except for the Countryman, Paceman and the 2014 F56 Hardtop. Upgrade the look of your handbrake with this great MINI Accessory. Race Sport is on the handle. Stylish addition to any car. Universal fit, will fit all standard handbrakes. Genuine BMW AC Schnitzer Handbrake Grip. Used but in great condition. Secured to handbrake lever with three grub screws - these are included. I have the original receipts from BMW to authenticate this is a genuine item (see pics). VW T5 Transporter & Caravelle. Nicely weighted, beautifully crafted Hand Brake Cover in a Wood Effect finish. We have been UK distributors for many of the world's finest 4x4, Van & MPV accessories manufacturers since 1988. VW T5 Transporter & Caravelle. Nicely weighted, beautifully crafted Aluminium Hand Brake Cover in a Polished finish. Textured with rubber O-rings for antislip ultimate grip! We have been UK distributors for many of the world's finest 4x4, Van & MPV accessories manufacturers since 1988. Eye-catching detail for the interior of the MINI. All Genuine BMW and MINI parts and accessories carry a two year warranty for your peace of mind to ensure that you enjoy pure, 100% BMW quality. Honest mistakes do happen but we do our best to rectify quickly and efficiently. Fits all Mk1, Mk2 & 2.5 models, 1989>2005. Red Leather & Satin Handbrake Handle. Mk1 1989>1998. Cleaning & Care. However, accidents do happen. Pipercross Filters. Mk3/3.5 2005>2015. Mk2/2.5 1998>2005. It fits all F80 F82 F83 M5 M6 X5M X6M. Fits all Mk1, Mk2 & 2.5 models, 1989>2005. Mk1 1989>1998. We source our products from all over the world to bring you the best in MX-5 parts and accessories. However, accidents do happen. Cleaning & Care. "Fed up of that tatty and scratched painted handbrake lever?. Simply undo the handbrake cables, unclip the old lever and slip this one into position. Adds a little sparkle to your interior too!". Suitable for Beetle -79. 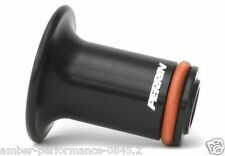 Grip will fit on Mini Cooper Clubman R55 R56 R57 R58 R59. Key Chain Bag. Car Key Chain. Upgrade the look of your handbrake with this great MINI Accessory. Car sticker. Car Emblem Badge. Hoping to bring miraculous changes to your patio?Supernova is here to help turn your patio into an outdoor paradise. HEADPHONE CAMBIOFRENO GENUINE LEATHER BLACK RED EMBROIDERY. 100% ITALIAN LEATHER. FIESTA ST 2008 to 2015. Rear peel and apply to a pre-cleaned surface. High grade high quality zinc alloy finish. TO LEAVE A FAVOURABLE REVIEW AS A GUIDE FOR OTHERS. GEAR LEVER BRAKE BLACK LEATHER RED STITCHING. personalized stitching with nylon thread. 100% ITALIAN LEATHER. 34402284018 4 Series F82 M4 LCI Coupé M4 CS S55 (3S71) 25.02.2008 - 0.044 kg. 34402284018 4 Series F82 M4 LCI Coupé M4 CS S55 (3S72) 25.02.2008 - 0.044 kg. 34402284018 4 Series F82 M4 LCI Coupé M4 CS S55 (3S73) 25.02.2008 - 0.044 kg. MX5 MK2 / MK2.5. MX5 New & Used Parts. MX5 MK3 / MK3.5. Designed to hold the interior trims together, similar to the Mazda brackets. Front hard top brackets for securing your hard top. This is the front set only - for a full set you will require the side brackets aswell. For the following models: R50 R52 R53 R55 R56 R57 R58 R59. MINI ONE COOPER Cooper S D matching. ONE/COOPER Cooper S convertible. HAND BRAKE LEVER HANDLE. MINI ACCESSORIES. HANDBREMSGRIFF UNION JACK FARBIG.